We are the leader in Northeast Oklahoma in overhead and garage door systems and we will continue to provide the most reliable solutions and unmatched professional installation, service and support. Your complete satisfaction is our goal. We even have 24 hour emergency service. 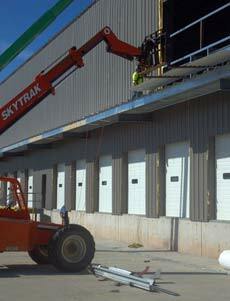 Come see why thousands of businesses and contractors have entrusted their overhead doors to our repair team. We stock large inventories of replacement parts in our warehouse and also on our trucks in the field. Our technicians are trained and certified to provide quality repairs.